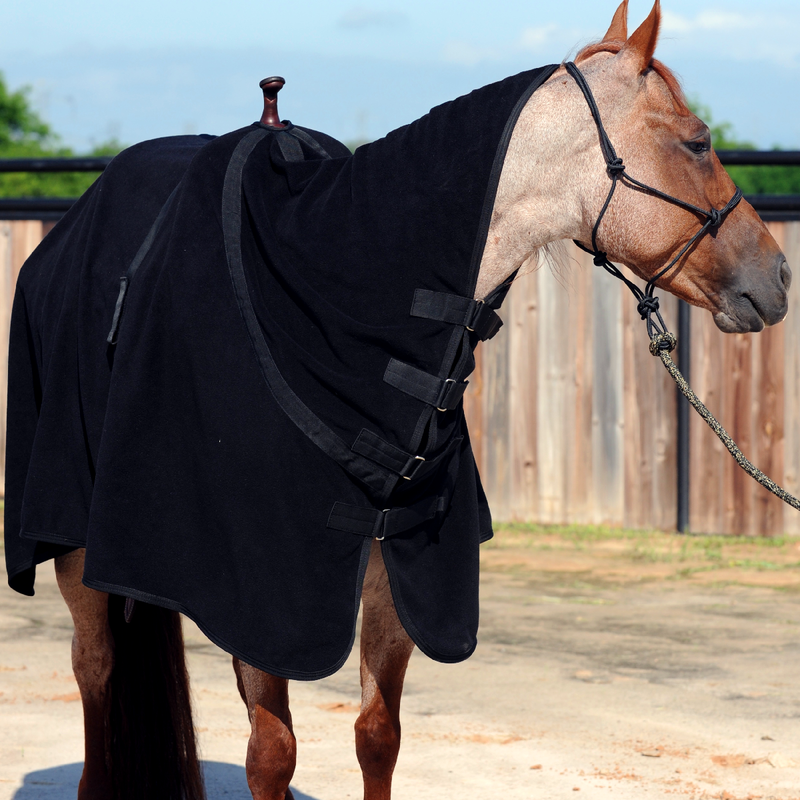 Classic Equine Premium Polar Fleece Cooler | West4us.cz - Nejen westernová móda, dovoz z USA, skvělé ceny. Kvalitní značková odpocovací deka pro koně. 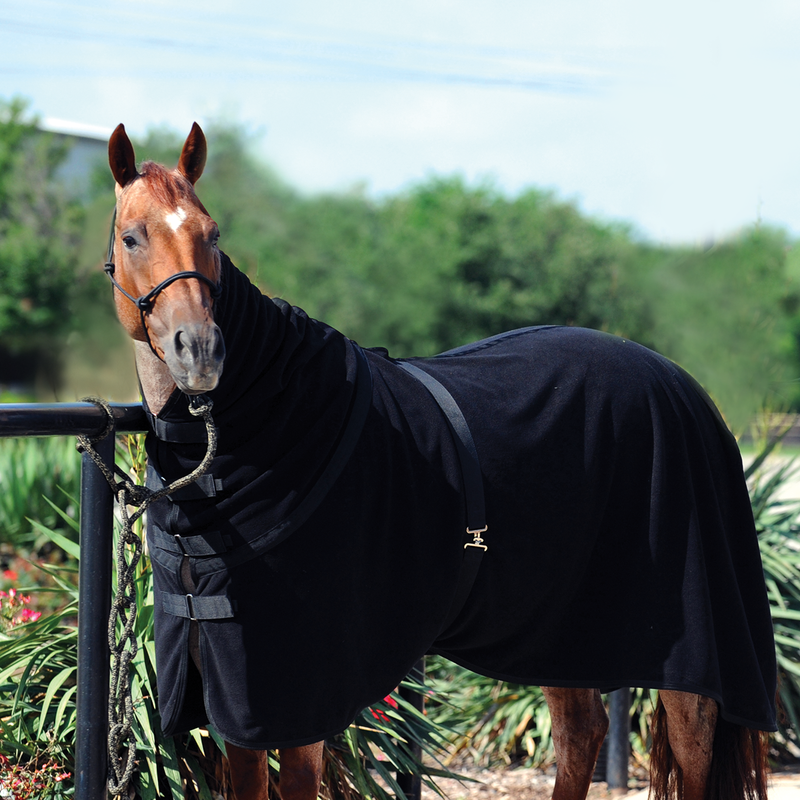 Vyberte M 77"-79" L 80"-82"
Ultrasoft 380 gram fleece cooler allows your horse to cool down slowly after a hard workout, helping to prevent chill. Effectively wicks away moisture after bathing and speeds the drying process in cold weather. This cooler also works great for keeping a groomed horse clean and dry during transport in a stall at a show. Conveniently attaches with a belly strap, back strap and runs up the neck to snap to the halter. Designed elastic bound head snaps to allow extra comfort and freedom of head movement. Features a zip-up chest and quick snaps so it can be secured either way. Double stitched, nylon bound edge for extended durability. Machine washable.